This was the first outing of the new season and we were fishing off the bank for the Norman Shippey Memorial Trophy. Although the lake had been fishing exceptionally well, the wind had moved through 180 degrees and it was chilly. Shallow likes don’t like this and instead of the ’20 fish in the first hour’ we were lucky to get a pull. The fish were podded up as one would expect and although these pods were all over the lake they were often just out of reach. Some of the boats seemed to be doing very well while, for most, it continued to be a struggle on the bank. We started at 9am and had a compulsory break for lunch. The idea was that those who had caught the smallest number of fish could return to the bank first and those with the most would go last. A great idea – under normal conditions – but with so many blanks and ones, it seemed that most were restarting at the same time. However, new member Steven Brennan had somehow managed to catch 8! a great performance although he was quietly modest and said he had been fortunate to stumble on some stockies in a bay with the wind blowing on to it. There were some twos and threes, even a four, but generally it was disappointing. The afternoon was no easier and we stopped at 4pm. Steven caught a couple more and won the day with 10. Paul Heavens, Mark Searle and, with a late burst, Graham Bodsworth all caught 6. Gary How and Tony Smith managed 4 apiece, but there were only four blanks. The total number of fish caught was 53 for a rod average of just over 2.5 which is unusually poor for such a well stocked venue. The sweep for guessing the total was won by Sue Potts which made up for husband Neil catching more than her. Always good fun off the bank but the next get together is on the boats at Pitsford on 1 April. This will be the first day when the whole lake is in bounds and it has been fishing its head off; which probably accounts for the fact that we have booked ALL the boats. Happy days. Our regular first boat trip of the season, which is always Pitsford, was met with fine but chilly weather and the prospects were good. Plenty of fish had been caught during the settled spell immediately prior to our visit, although they were best tackled from the bank as they were hard on the buzzers in very shallow water. Turn out was excellent with most of the boats booked by the club for the 40% of our current membership who fished. That’s impressive and a credit to Chairman and organiser Mark Searle, as well as all who work on behalf of the club. 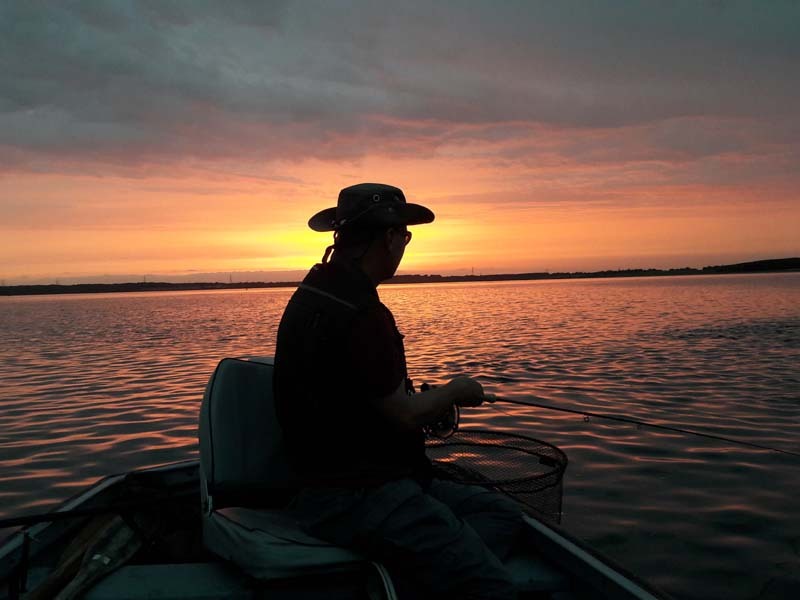 The first day of April is the first day without winter restrictions when all the lake is open for fishing, including the small half. This had been stocked with good fish and is often productive at this time of year. Two boats elected to start there with limited success, while all the rest went through the tunnel to try the various hot spots of the previous week or so, which had been Duffers, Bog Bay and the Dam. The problem was it had been a very cold night with a sharp frost and there was a cool breeze with a clear blue sky. Not ideal conditions on this lake. But once things warmed up the fish started to respond. Most boats eventually resorted to the anchor and focused their buzzers around the edges. Straight line and washing line fished very slowly on floaters, and of course the bung, all worked well, and the fish started to be caught in good numbers all afternoon. Those anglers who elected to drift found fish, particularly along the Causeway, using sinking lines and small minkies. Mark organised the sweep to guess the total number of fish caught and Dave Summers’ punt looked a bit optimistic in the morning, but by the close his estimate of 210 was just one fish out. We were fishing for the usual Carr Cup points, but also the Graham Williams Trophy. This was introduced last year and sadly Graham did not live to see it fished for after that inaugural match. It was a 4 fish kill, 4 fish catch and release competition for that which was won easily by Alan Briggs who had some nice fish in his first 4, and later returned a 5 pound brownie. 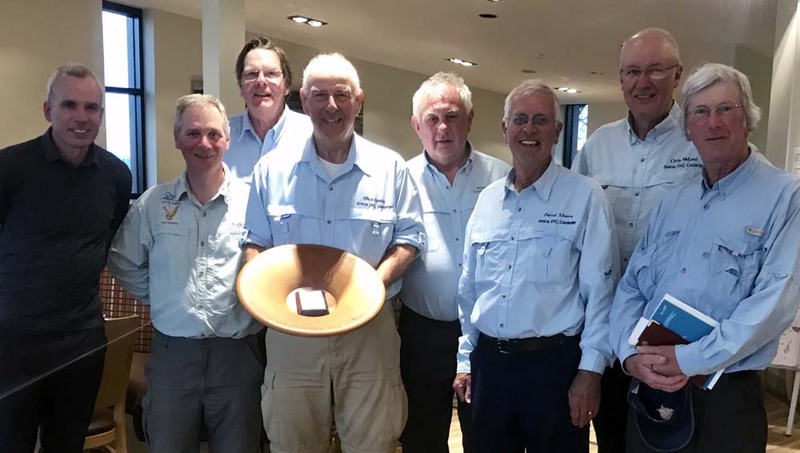 There were fourteen members getting their magic maximum of fifty Carr Cup points for 8 fish (and six of those went on to double figures – Graham Bodsworth topping the list with 22), with just three blanks. Almost certainly for the first time ever we had two ladies fishing who both caught their limits, so great angling Joan Russell and Sue Potts. 211 fish were caught in total for a rod average of over 7; an excellent day. The next match is Rutland on Saturday 11th May, where we hope the buzzers will still be active. The AMFC (Association of Major Flyfishing Clubs) is a series of 6 club based matches. The first is the Spring Association match and is a 4 man team event involving all the participating clubs. This precedes the four 6 man team matches and Autumn Association match. Invicta like to encourage as many members to get involved as possible, and runs 2 teams. There are 3 groups and we have our A team in Group 1 and the B team in Group 3. It is really helpful to get a good start and although this is a very friendly Association, we all want to do well. Kieran Bonas 8 fish and time to spare. Invicta’s two teams fished the first round of AMFC on Chew. This was the Spring Match when all 15 teams fish together in teams of 4 rods. We are fortunate to have enough members prepared to travel and stay over to practice the day before as they hadn’t fished Chew for a year or more. B Team captain Jeff Hickson reports, ‘Pre-planning for the match had identified many areas that were supposed to hold fish and practice on the Friday showed this was still the case and also what excellent quality and size the fish were, Bristol Water should be congratulated for providing a fishery with stock of such quality, they really pulled your string. Practice day identified a number of areas with good concentrations of fish including Walley Bank, Heron Green Bay and to a lesser extent Wick Green. Match day saw the wind pick up, so it felt even colder than practice day, and much less cloud. The boats largely split into two groups at the off going to Walley or Heron, although a few went to Wick or Morton bank. Heron fished well for the first hour on the middle / right hand, first limit taken before 11am by Graham Pearson (Rutland), and then at intervals for the rest of the day. The afternoon saw Jeff bag up mainly on a fast glass and fabs / buzzers and Alan Briggs also did well with 7; Paul Heavens netted 3 and Steve Harding 2. Walley bank did not fish as well in the morning as it had on practice day, perhaps due to boat pressure, it did switch on mid-afternoon and a number of fish were taken. I started the day off in Wally Corner between the sailing club and the dam as we had found lots of fish there and of a good size up to 4lb! Method was a Di7 with a black and green booby on the dropper and a cats whisker booby in the point fished slow and deep. After a few drifts and only a couple of offers I knew things weren’t going to plan. The next drift I managed three fish in quick succession. After that the takes dried up and I knew I had to move. So after finding a few fish over the other side at wick green in practice we headed over there. It was much warmer and sheltered over that side of the lake and buzzers where hatching off so I switched lines and set up the bung. I had a fish on the first couple of casts and things were looking up. I moved along 150 yards to a calmer section of water to the point off wick and there we found a bigger head of fish. An hour and a half later I had managed to catch my following 4 fish with the bung being very successful. Managed to catch my limit by 2:14 which was longer than I expected considering such a good practice day the day before but was happy to get my fish and an enjoyable trip down to Chew for a change! Mick Facey caught 5 in spite of a broken fuel line which cost a lot of time and Graham netted 2 after losing numerous fish. So all the Invicta rods caught 2 or more and everyone in the match caught at least one trout. The B Team were very unlucky with a Team total 20 fish (50lb 15oz), the same number of fish as Bewl ‘B’ but we lost out as Bewl ‘B’ had two limits, so more time bonus but also we were only one fish short of Soldier Palmer ‘B’ in second place. It’s very unusual for our B team to beat our A team. The next round is at Rutland for the A Team and Farmoor for the B Team. 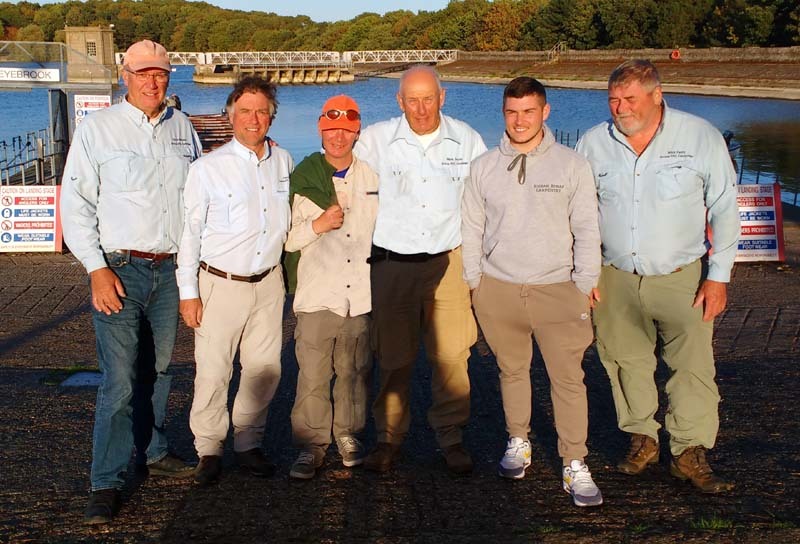 This was the third year for a match inspired by the Army’s Jamie Thomas, and another opportunity for a different grouping of anglers to come together. 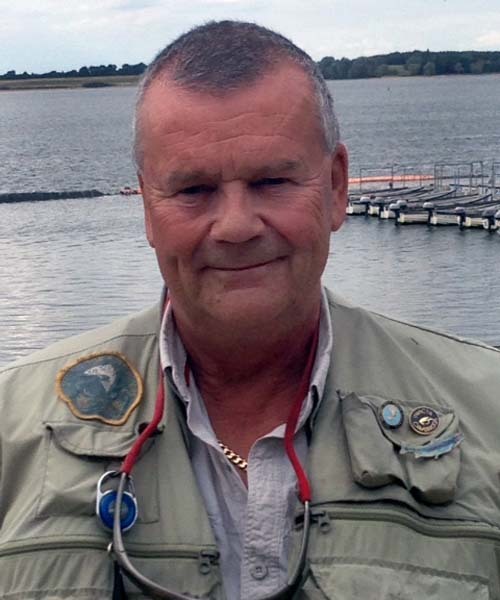 Grafham has been tricky at times this year because of factors beyond the fishery’s control. A long, cold spring was followed by an exceptionally hot and dry summer which switched the fish off in July. As things recovered the water level reduced dramatically to allow maintenance work on the pumps, and although some water is now being pumped back in, things won’t really change until the New Year. The banks are very muddy, especially on the South shore, and the silt in some areas give the water an unpleasant grey colour which is easily stirred up to cloud the water. So finding clear areas is essential, and for this match that was the Willows and the North Dam. We started at 9.30am and many couldn’t wait for the finish at 3pm – in fact, many didn’t and found better things to do having had no interest at all. The weigh in was a very sparsely attended event with only 17 fish being caught to nine anglers. For the 24 that took part that was a rod average of 0.6 which is exceptionally poor for this time of year. Ray was top rod with 4 fish for 7lb 9oz, Peter Hartley had 2 for 4lb 12oz and Keith Jones was the only other angler to catch 2, for 3lb 12oz. The best fish was Neil Potts’ 2lb 7oz rainbow. With 8 fish for 17lbs the Locals managed to take the Trophy for the first time, and the Army/RAF had 6 fish for 11lb 2oz. However it was a very enjoyable event with a filling meal, and prize presentation, to follow in the Lodge. Thanks go to Angela at Anglian Water, Trish and the restaurant staff for the meal, and particularly to the RAF’s Keith Jones who very efficiently took over from Jamie to organise the whole event. Let’s hope for better conditions next year. The second of our two annual trips to Elinor promised great things. This great little fishery always produces but the valley that it’s in can funnel the wind and make life difficult on the most productive banks. A check on the weather forecast suggested a southerly wind would increase so the far bank was the one to be on. 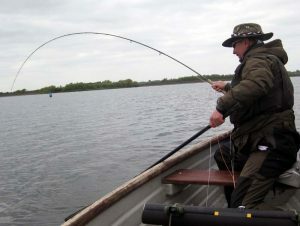 It had been fishing well and a recent stocking of 40 odd four pound plus fish meant that there were plenty of fish, and that proved to be the case as rods bent almost immediately. Some did venture to the lodge side and caught well initially until the sun came out and the wind got up, but it became increasingly difficult. Floating lines with a booby/fab and nymph set up worked well, with maybe the red diawl bach doing best of all. It was one of those days when fish kept falling off! Paul Stevens, for example lost almost three times as many as he caught. This is maybe because the fish weren’t feeding on anything particularly and weren’t properly committing to the take. They seemed to be a bit spooky as well, in the gin clear water. A brief stop for lunch and chat persuaded many on the prime spots to stay put, but others who ventured further still managed to catch a few – and better fish. 88 fish were recorded caught (probably as many were lost) at a rod average of 5.5. Top rod of the day was Chris McLeod with 14 followed closely by Gary How on 12, Keith Gilchrist and Dayood Sheik on 11, and John Brown on 10. Although a number of lumpy stockies, around the four to five pound mark were caught, the best fish of the day was Alan Briggs’ rainbow just shy of six pounds. Thanks to Mark Searle, who was sunning himself in Spain, Gary How and Paul Stevens for organising things……and thanks to Janice Brown for baking the winner’s cake – delicious! So that’s it for another season. Merry Christmas and a Happy New Year. all went to an in-form Pitsford instead. The stakes were high with a number of members in with a chance of winning the Carr Cup and becoming club champion, but with the water fishing so well those at the top were unlikely to fail. The day was warm, cloudy and breezy. Fish were well up so floaters, midge tips and slow sinkers were the order of the day. Most had a booby on the point and fished washing lines. Initially the fish were willing to chase but a fierce squall seemed to kill that and success came from flies fished that little bit deeper and slower. Scores were slowly building and it was obvious that a lot was going to be caught, although it helped to be in the right area, which was around the top end of the Narrows and between Rigby Point and the Cliffs. By mid afternoon Keith Gilchrist had his 8 fish and could not then be beaten to the championship, but he carried on, getting 14 fish on a variety of methods with a tequila FAB on the point playing a significant role. Joan Russell and Mark Searle finish as joint runners up this year only 10 points behind Keith. 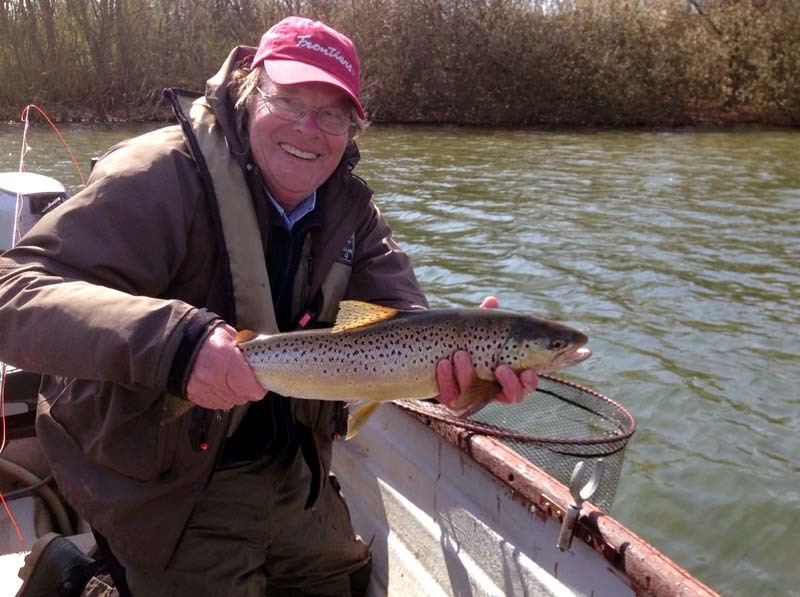 Mark Searle also took a beautiful brown of well over the five pound mark, which was safely returned (See Gallery page). In total 113 fish were caught at a rod average of around 5.5 with no blanks. This was the last Carr Cup boat trip of the year but there are a number of opportunities to fish with Invicta over the rest of the year. We have our annual Fur and Feather bank fishing day on 3rd November at Elinor, fishing for the Arthur Sexton Trophy. The Hinckley Shield team bank match is on 28th October. The ‘Locals v Army/RAF’ bank match on 24th November and the ‘Shrimpmasters’ series start on 11th December. With the weather cooling, cloud cover and light winds, prospects were encouraging after a disappointing Summer – from strictly a fishing point of view. Gary How plays a fish while Sue Potts releases yet another. 18 members took to the water starting with a variety of tactics, but it quickly became clear that washing lines on midge tips were working as well as anything. 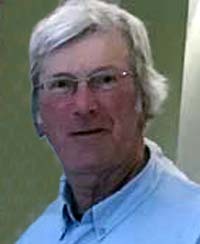 President Bob managed to squeak out a few on dries until the sun appeared which slowed the catch rate up for a while, and at lunch only Keith Gilchrist had a limit, with a number of sevens and sixes leading the field. After the usual social break the fish continued to be caught as the cloud cover increased. Very few fish were showing but they weren’t deep and were willing to take a variety of flies, although unwilling to chase. Steady figure of eight with slow draws and a good hang worked best. There were no blanks and even those members just getting into fly fishing managed a few. Joan Russell, Gary How and David Moore all managed 20 or more fish, with another 4 anglers into double figures. This gave a total of 177 fish caught at a rod average of just under 10. Altogether, another great day out. Keith maintains top position with Joan only 5 points behind and Mark 5 points behind her, so all very close. The final Carr Cup boat trip of the year will be on Tuesday 2nd October at Grafham when the Champion will be crowned. This match was the 5th in our Carr Cup series and we had another excellent turnout of 22 members. The heat wave had finally cracked the day before and expectations were high after reports from the staff of double figure catches and Joan Russell taking fish on dries the day before. All the fleet headed off to the south-west corner and many of us started on dries but after 30 minutes in a flat calm with nothing showing there were some early tactical changes. Many switched to midge-tips and intermediates and a few boats moved out towards the ripple of open water and the boils. The sun shone all morning and the best boats had only taken three or four fish. David Moore was on three fish by 1pm and getting a lot of soft pulls and follows twiddling and hanging a Di3 but this petered out until after 3pm when the wind increased and heavy cloud brought the fish up in the water and switching to a 10ft slow midge brought immediate action drifting downwind of the boils. Paul Stevens fishing size 14 green nymphs, Keith Gilchrist and Graham Bodsworth on midge tip and floater were all taking fish regularly on similar tactics until everything switched off again leaving everyone short of their limits. We weighed our first 4 trout and it was a close result with David pipping Keith by 8ozs to win the trophy for a third time. Graham Bodsworth’s five fish out-weighed Paul Steven’s six to take third place. Our President Bob Ayres had suffered a blank in the boat with David Moore but had the last laugh by winning the sweepstake on the total catch. 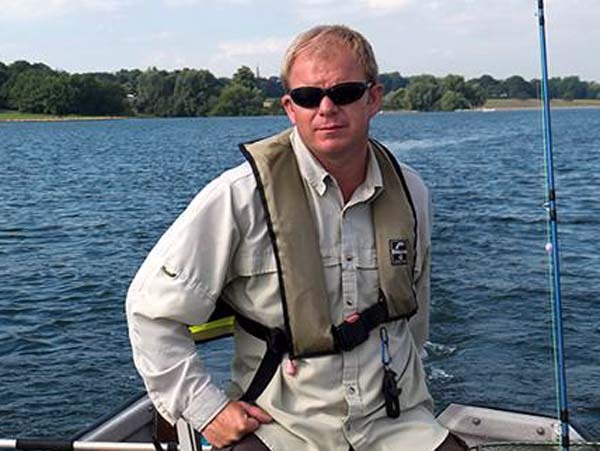 A big thank you to Mark Searle for organizing the day and timing the start and finish so that we didn’t conflict with the Anglers’ World Competition. The updated Carr Cup points table shows Keith in the lead but very close behind are Joan Russell, Mark Searle and Graham Bodsworth. It’s Ravensthorpe and then Grafham to come and remember it is your best 6 results which decide the winner. Club members approached Grafham with some trepidation have suffered a couple of weeks of record high temperatures and cloudless skies. These conditions would normally be the kiss of death to reservoir trout fishing, but settled high pressure had encouraged the fish to keep active and cool nights had actually kept the water temperature down. The water quality was exceptional and conditions looked ok. Most opted for nymphing tactics on short midge tips and floaters, fishing around the weed-beds on the north shore, and action was steady from the off. Huge shoals of fry and large numbers of damsel nymphs attracted the trout into areas of Pig Bay, the Willows end of the Dam and the Rectory side of G buoy. The trout appeared to be in pods that gradually progressed across these bays and it helped to be in the right area at the right time. A break for lunch was a welcome chance to catch up and find out where the fish had been caught and how others were doing. No one had done exceptionally well and all were inspired to get stuck back in. Although the afternoon was inevitably slower a good number of fish were caught giving a rod average for the day of 3.5, which is pretty good in the middle of a heat wave. There were only two blanks and only two eights, with Keith Gilchrist pipping Mark Searle by a couple of pounds. A good friendly turn out with all the usual banter which leaves Joan Russell at the head of the leader board with Keith and Mark just a fish behind; all still to play for. Next day out is Draycote on 11th August. Usually a prolific venue so we hope for better fishing weather for that one. To say it was tough would be an understatement. 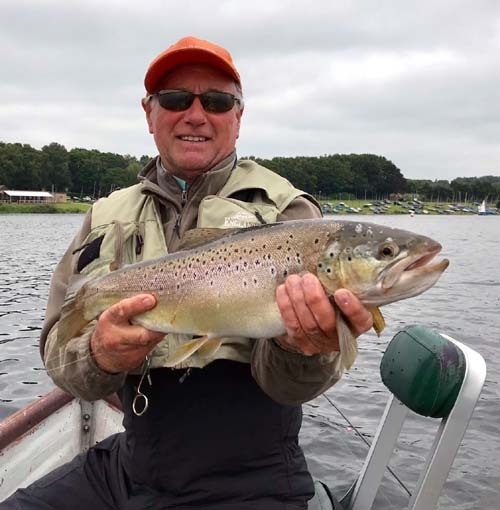 Reports during the week had been encouraging with good catches on dries being reported from Stoke Dry area and initially several boats headed for this end of the fishery. Few fish were rising an although the early part of the day had ideal overcast conditions with a good ripple the fish failed to oblige and at lunchtime only four fish had been caught. The afternoon was not much better for most people as they searched various areas in an effort to locate fish and a method. Joan Russell tried pulling in the main basin with no success whilst others tried everything from dries to di7’s. Graham Bodsworth took a couple from the top on CDC’s but the dries never really came on. A switch to damsels saw him increase his catch to 5 fish which was enough to finish top rod and move him to the top of the leader board just 5 points clear of Joan Russell and Paul Heavens. After drifting during the morning with no success, Paul Heavens and his boat partner Kieran Caulfield concentrated during the afternoon session on the Sam’s Dyke bank about 30 yards out. They found fish a few feet down near the drop off willing to take the occasional nymph fished on a floater washing line style; Red diawl bachs, crunchers, GRHE and FABs all taking fish. They finished with 4 each for joint second spot. It was great to see Kieran Caufield back fishing again, his shoulder much improved and clearly he has not lost his touch. Gary How was third with 3 fish on a day where half of the field blanked. Our next outing is to Grafham on Sunday 1st July (President’s Cup). A sunny day greeted 22 anglers to Rutland Water on Saturday 5th May for the second round of our Carr Cup series. Although these trips count towards the Carr Cup points, they are still primarily fun days with the emphasis very much on having fun and encouraging beginners. After a hearty breakfast in the newly refurbished lodge the draw for partners saw boats spread across the reservoir to the Blue Pipes to Fantasy Island, Yellowstone Cardiac Hill and Barnsdale. Sue’s first double figure bag. 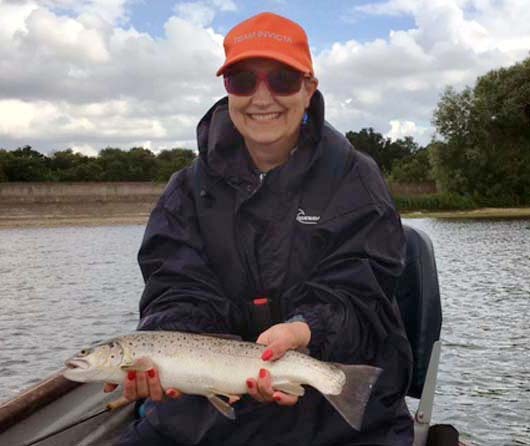 The best part of the day was to see Sue Potts catch her first 8 fish limit and finish on 10 – Great angling Sue!! Sue fished with Top Rod on the day Gary How who caught 21 fish, a great performance. We all had a fantastic day especially with the sunshine. 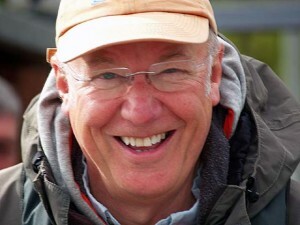 Thanks to Mark Searle for organising the trip and sorting out the lodge breakfast problems……. But that’s another story!!! See you all at Eyebrook on Saturday 2nd June for our next outing. 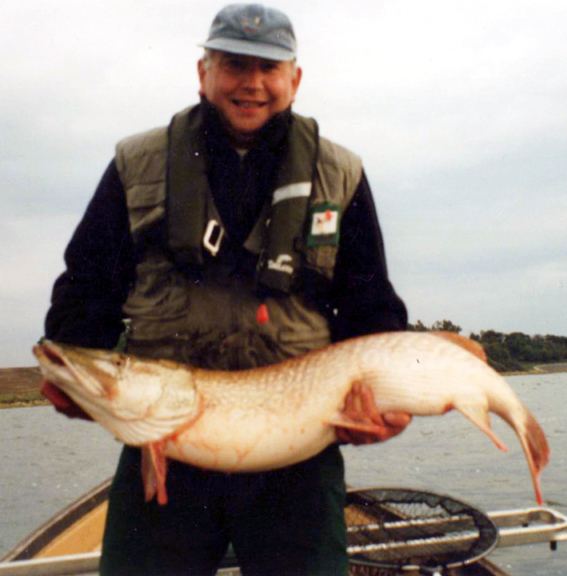 Graham Williams with 37lb pike caught near the north tower on a small white booby while we were after the big perch! The eagerly anticipated first boat trip of the season followed days of torrential rain which resulted in very high and deeply coloured water at the reservoir. But at least the temperature had risen and it wasn’t blowing a hooley! This was the inaugural match competing for the Graham Williams Trophy. 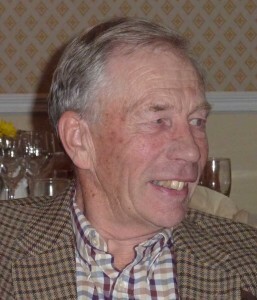 Graham has been a staunch supporter and very successful member of the club for over 30 years. As we all know he is unable to fish now but he is certainly with us in spirit. His old friends were certainly keen to win the trophy presented in his honour. Early season favourite area, the Small Half, was the colour of oxtail soup and unfishable so all the boats squeezed through the tunnel and focussed their attentions on Stone Barns, The Gravels, across to the other side around Bog Bay and down to the Gorse. Fish were deep and there was no evidence of them moving to fly at the start although as the weather warmed and a bit of sun – yes sun! – appeared, then a few buzzers started to hatch off, and this was the really successful fly. Sinking lines cast a fair distance, twiddled back then lifted and hung from the bottom took the majority of fish. It is amazing how easily fish can pick out small flies in all that murk! Most anchored which made life easier and some drifted, fish were taken in other ways, but most fish came to the anchored boats from the Gravels area just beyond the drop off. The method is a lot trickier on the drift. Tony Smith with 21 and Chris McLeod with 16 found the method early and once your confidence builds, fish just seem to keep coming. 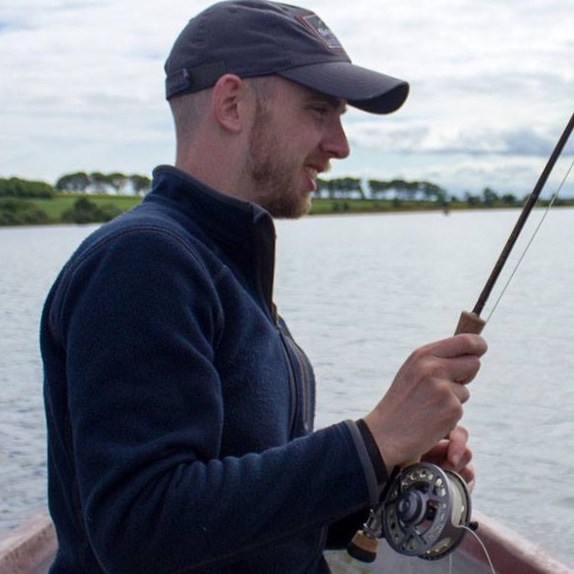 Some struggled as the normal early season buzzering tactics failed and a rod average – taking 8 fish as the maximum bag – of 3.9 was a little disappointing; although some of our newer less experienced anglers put in some excellent performances. Maybe the weather discouraged a few more, but a very sociable day, welcoming some new members, and a quick pint in the pub where we raised a glass to Graham, rounded off a good start to the season. Roll on to Rutland on Saturday 5th May for the next outing, although before that we have our Annual Floating Line match on 14th April. So plenty of great fishing with Invicta ahead of us. 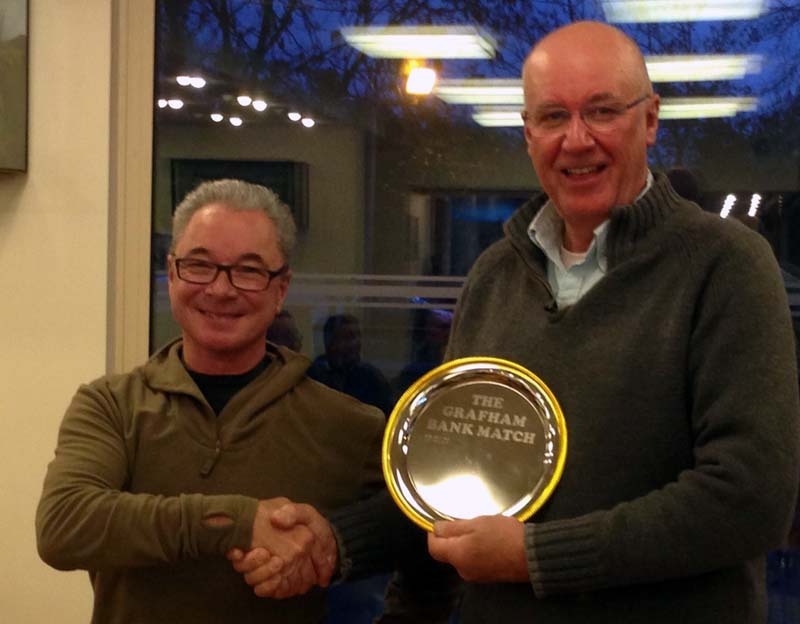 This year’s Spring Match was on Draycote on Saturday 22 April and Invicta achieved the perfect start by winning both their groups. This final match of the series involved teams of 4 from all three groups. Invicta A was Mick Facey (captain) Dave Summers, Joan Russell and Matt Willatt. 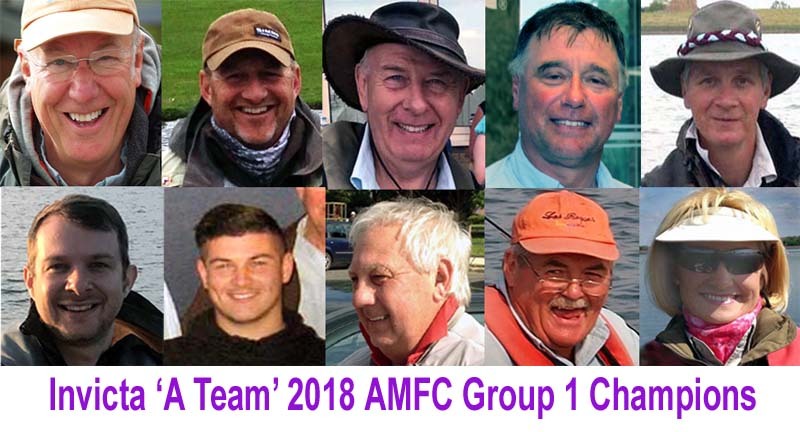 Our B team was Mark Mathieson (captain), Ray Storer, Jeff Price and new member Nick Lant who was fishing his first AMFC for the club. Our ‘A team’ had already secured the Group 1 title with a big lead but Group 3 was tight sharing Bristol and Royal Navy on equal points such that the top team of the three would win the Group. Rutland Water was more like the Arctic with a bitterly strong wind, driving rain and only 5deg C as the boats set out, mostly turning left into the mouth of the South Arm but some went right to the end of the North Arm. Dave Summers was into fish quickly with a long midge tip and small foam daddy on the point proving effective and caught his 8 before 2pm. Mick was catching on similar tactics but with FABs and also finished before the end. Everyone else was suffering in the foul weather, Jeff Price had a complete wardrobe malfunction and had to come in soaked through, followed by Mark who had a difficult time with his boat partner and was also suffering from the cold. Several others gave up early for the sake of their health and there were a lot of shivering anglers at the end. The 6 of our rods who lasted the match all caught fish in spite of the appalling conditions and deserve survival medals. After a welcome hot meal in the Lodge it was announced that our A team was 3rd and Dave Summers was top rod in the match with 18b-10oz and Mick was 3rd in Group 1. The B team had a disappointing match but still finished 3rd in Group 3 narrowly beating Soldier Palmers on total weight over the series so every fish caught counted. It was good to have several Invicta members coming along to support the teams and for the presentation, we had a great evening to round off the series. A big thank you to all 24 members who have taken part this year. In addition to winning Group 1 for the first time since 1991 our continued success in running two teams brings a lot of prestige and respect to our club. This match had been planned for Farmoor and we were keen to go, but the summer’s heat had caused major issues with fish deaths and no stocking, so it was decided to relocate to Eyebrook. On our practice day this proved to be a good move as it was fishing well. As is often the case, conditions on match day were subtly different with cool winds, unbroken sunshine and a 180º degree change of wind direction, all after a very chilly night. Not every tactic from the day before worked: what was needed were slow retrieves with washing lines on floaters, midge tips, slow glass and the like, and focusing on the top couple of feet. The areas were all around the dam and the tower to a maximum of about 200 yards out. Those that had the perfect set up started catching immediately. Others took a while to work it out, but eventually plenty of rods were bending resulting in a rod average for the 8 fish limit of 7.9! Invicta all caught their fish as did a couple of other teams, and although our fish were reasonable with average weights, we knew time bonus would be critical; and we had plenty of that! After a few hiccups with the scoring, double, and then treble checks gave us second place to Fish Hawks. This was a great result for us with two firsts and three seconds and now in an unassailable lead. A great day, excellently organised by HFA and with a lot of support from Ifor Jones at the fishery. The fish and chips to follow the match were very good! The A team for this match was Captain Chris McLeod, Kieran Bonas, Mick Facey, Gary How, Keith Gilchrist and Mark Searle. The result has to be ratified but it looks certain that we have already won the Group, making us the AMFC champions for the first time in living memory! The final Association day on Rutland should be a very relaxed affair for our team of four, but we’ll still be keen to finish on a high. 8 fish for Captain David Moore and a further 8 for Ray Storer. Invicta B were leading the Group as we went into this match which had been moved from Farmoor at short notice because is had not recovered from the hot summer which had caused its closure. 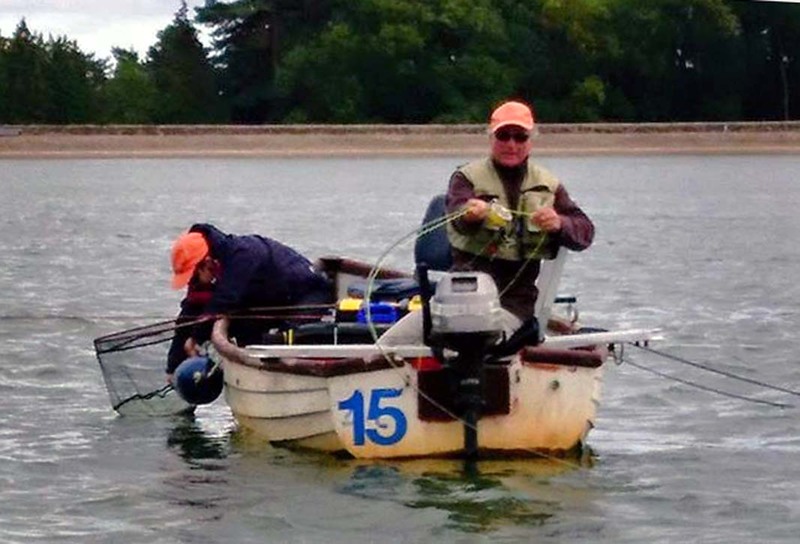 We fielded another strong team with a fair bit of Draycote experience and David Moore (captain) and Ray Storer had fished it in an EFFA match two days before, although in very different conditions, today was a cold breeze and steady rain. The rest of the team was Paul Heavens, John Brown, Mark Mathieson and Peter Brewer and at our briefing Ray and David advised fishing small boobies with pink in them along with hoppers on midge tips pulled through the surface layer. Dries might be worth a try but not many fish were rising so not for too long unless successful. Areas worth a try were the open water north of the middle and the mouth of Toft, also Ray had seen fish close to the harbor near J buoy but there was Dragon Boat racing planned here. The draw put Peter as the only Invicta member on the engine so we didn’t have much early control and headed out for various directions. David started near X buoy on Middle Shoal and found fish responding to small boobies pulled hard but not sticking and catching 2 it died and moved to mouth of Toft where another boat was catching, after taking 2 more fish it died again although Peter Brewer was catching close to the stones here too before motoring across to Rainbow Corner for his last fish. After a 3-hour gap David moved back to X buoy and took 4 more fishing deeper and slower to finish at 5.30. Meanwhile Ray Storer benefitted from his practice day and stayed around J Buoy where, undistracted by the Dragon Boats, he steadily built up his catch pulling his boobies, Ray’s boat was the second to finish with a double limit at 4.30. Ray was our top rod and 6th individual in the match. Ray is having a very consistent season and we were lucky he could stand in as a reserve for this match. John, Paul and Mark had all been taken down the south end of the reservoir by their drivers and fishing was much harder here although Paul moved towards P for his late fish to weigh in 2 trout. At the weigh-in all of our team had 2 or more fish with a total of 26, every fish was vital and one more than GWFFA with 50lb-15oz and just one fish and 4lbs behind the Soldiers. Royal Navy-Marines were top team (30 fish and 63lbs) Bristol had a member disqualified for admitting to sorting fish and throwing a smaller one back dead. The fishery is taking this very seriously and it reflects badly on AMFC and the team results therefore await ratification by the AMFC committee. A special thank you to four of our team who were out of pocket on hotel reservations for practicing at Farmoor which could not be refunded because of short notice. The result leaves the table incredibly tight. Invicta, RNRM and Bristol all have 17pts with Soldier Palmers on 15 and GWFFA 8 so any of the top three will win the table by winning the last match or by taking 2nd place if Soldiers or GWFFA win it. Good luck to our team for this at Rutland on the 6th October, Mark Mathieson (captain), Ray Storer, Jeff Price and Nick Lant. Invicta are in their strongest positions for years, in both Groups 1 and 3. Both these Groups came together to fish the fourth match in the series, on an in-form Grafham. After weeks of hot weather, bright sun and no rain, most waters would be suffering. But nights had been chilly and a cool breeze had kept the water clear and the temperature down. In fact, the water quality was second to none; perfect for nymph fishing and that’s what most anglers elected to do. Rods began bending almost immediately in favoured areas which were off the dam and G buoy to begin with, often in very shallow water and then the boats spread to other areas with Gaynes being particularly popular. The stiff breeze of the previous day had dropped and a gentle North Easterly gave just enough ripple. Popular flies were Hare’s Ears, Diawl Bachs and Crunchers which were all working either straight lined or on a washing line, but as the day wore on, these had to be fished very slowly indeed, often producing savage takes. The fish were fighting fit and pulling hard so it is not surprising that many were lost. All sorts of takes, pulls, on and offs, head shakes and long distance releases were reported, which was a source of great frustration for many. In the end Invicta A had four eights, a three and a blank which put them well behind the Soldier Palmers who had their full complement of six limits, but just in front of the RAF. Invicta B had just the one limit with Mark Matheison bagging by 2:45pm but it was well supported with two sevens and they also managed second place. So a hugely satisfactory day for the club and excellent all round team performances. The result has to be ratified but that should put us eight points clear in the Group 1 and two points clear in Group 3. The A team was Captain Graham Bodsworth, Mick Facey, Gary How, Mark Searle, Chris McLeod and Dave Summers. The B team was Captain Paul Heavens, Peter Brewer, Steve Harding, Mark Mathieson, Neil Potts and Ray Storer. The next matches, number 5 in the series, are on Farmoor – Saturday 22nd September for Group 3 and Saturday 29th September for Group 1. Both teams will be looking to capitalise on the success so far to make the final Association day simply a formality. The ‘Invicta B Team’ for this match was made up of Jeff Hickson (Captain); David Moore; Mark Mathieson; Andy Newman; Allen Sefton and Jeff Price. 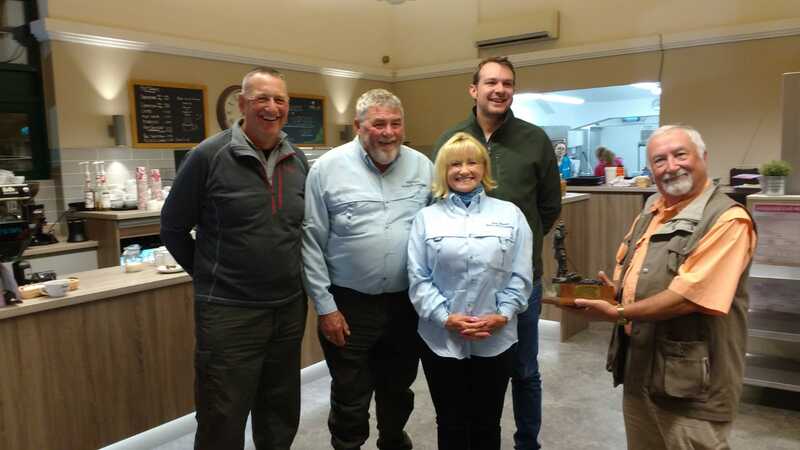 Four of the team managed to practice the afternoon before and a number of other Invicta members fishing the evening league event gave the team very useful feedback. The wind was expected to swing round from NE to SW for match day. From a fishing view point the North shore between the Willows and Pig bay seemed to be the areas to concentrate on, with the fish mostly in the top water layers. The team came to this match lying in second place after the Chew match. On match day the wind had picked up a little and swung round as expected. Tactics from practice still worked, diawl bach, hares ear etc, at the end of the match a team average of six fish per angler and three limits with time bonus was enough for a team second place. The team stars being Mark, David and Jeff Hickson (who also had largest trout in the match at 3lb 10oz) and Andy Newman had the heaviest 4 fish bag of the match; overall yet another good team performance, thanks to all. The second place for this match was enough to give the Invicta B team a total of 11 points for the season and current first place in Group 3, one point ahead of RNRMAA. For members that like the numbers please refer to the results sheet on the AMFC web site. After the first two matches ‘Invicta A’ were 3 points clear at the top of Group 1 – our best position for years – and looking to keep the momentum going. A place in the top three would do very nicely but the competition was fierce with some of the county’s top anglers involved; and Pitsford’s form had been a bit variable. The team practiced the day before and found a couple of methods. There were huge numbers of damsels hatching and the trout were taking the nymphs which suggested imitative patterns and the green cruncher was an obvious choice. Gary How caught a cracking brownie on practice day, well over 6lbs, maybe up to 8lbs. The team opted for floating, midge tip and slow sink lines fishing the washing line. There were no areas of concentrated stockies so it was a case of long drifts over open water fishing very slow to static. Fish came in short bursts and all the team were making steady progress, although some started slowly and picked up later as they worked out the method. Whereas those who had it right to start with perhaps didn’t adapt as the conditions subtly changed. It really was an excellent match where good, traditional fishing was rewarded, rather than a stockie bash with all the boats stuck in the same area, pulling lures. We had four eight fish bags, a five and a four, which was more than any other team, with some heavy fish and good time bonus. Second placed Tunbridge Wells had one less fish so it was very tight. A fantastic result and a great team working together. Congratulations to Kieran Bonas who was top bag fishing for the first time this year. The team was Captain Gary How, Kieran Bonas, Graham Bodsworth, Mick Facey, Keith Gilchrist and Chris McLeod. The result has to be ratified but that should put us 4 points clear in the top group. Onwards to Grafham 4th July. The Invicta ‘B’ team for this match had a mix of Chew experience ranging from Jeff Hickson who had fished it regularly for 30 years to Steve Harding who had only fished it a few times for pike and Paul Heavens, Jeff Price and Neil Potts on their first visit to the 1200 acre reservoir. 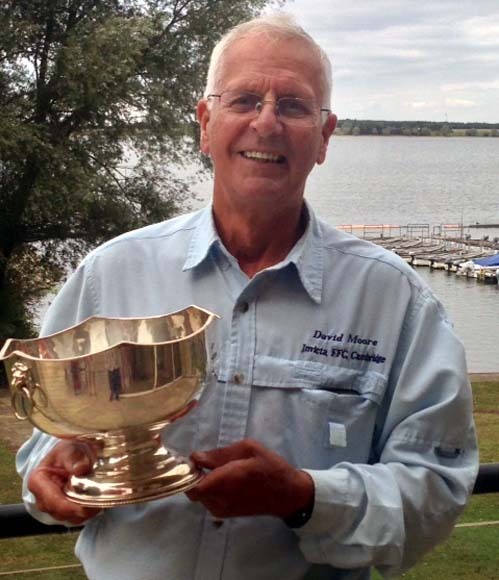 David Moore had fished competitions here for the last six years. Five of us practiced the day before with mixed results on a cool, breezy day. Paul Heavens and Jeff Hickson took a few rainbows in Herons Bay high-up on the bung but the others struggled in various spots although David ‘enjoyed’ a couple of decent pike on buzzers. On match day it was a flat calm and as a team we decided to start on the bung and stick with it for the morning unless our partners were making something else work and to fish in Herons if possible. On match day Jeff and David were drawn with Bristol team rods which was an advantage and both took an early fish. Sport slowed everywhere after the first two hours and boats were moving around. Jeff was taken to Denny’s island; David was driven across to Spring Bay while the others stayed around Herons and the south shore. There was a big buzzer hatch in the afternoon and plenty of fish were moving but proving tricky to tempt. A switch to straight-lined buzzers or washing line on a floater took more fish in the afternoon. At the scales Jeff Hickson was our top rod with 4 good fish for 10lb 7oz, David also took 4 of which 3 were in the last 2 hours, Steve 3, Paul 2 and Jeff price and Neil with one apiece made up our bag of 15 fish for 35lb-9oz. It was good that everyone caught fish on a day when there were several blanks and a rod average of only 3.2. We finished in 4th place ahead of GWWFA B but RNRMAA had the top rod of the day which made up for their two blanks to beat us into 4th place. We are now in 2nd place one point behind Soldier Palmers (8pts) with RNRMAA and Bristol on 5pts and GWFFA B on 4pts. The next round is at Grafham water on the 13th June. 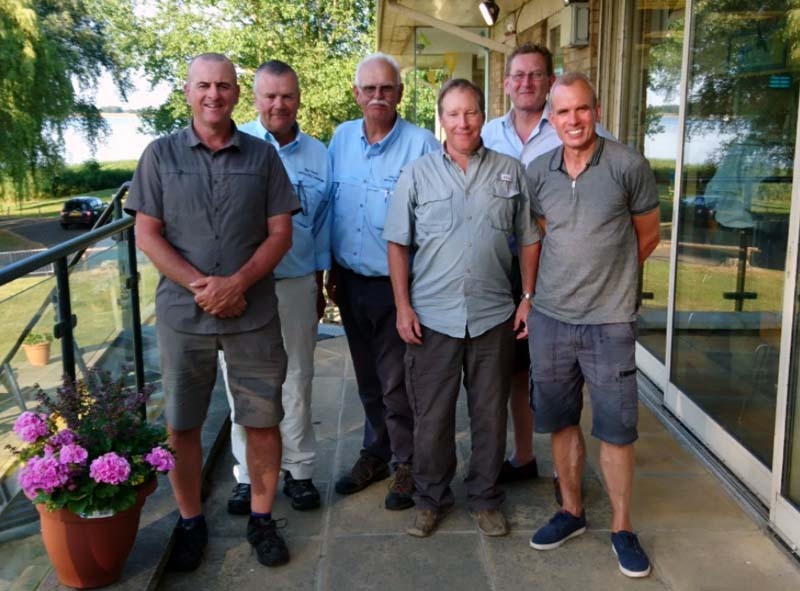 Invicta ‘A’ fielded a formidable team for the second round in Group 1 at Rutland Water, most having fished several competitions and practice days in the previous weeks with some good results. On practice day the weather started off sunny and very warm, but by the afternoon the temperature had dropped with a chilly westerly wind picking up. The team found fish all-round the lake but not in great numbers at any one place. We meet in the car park in the evening to compare notes and decide match day tactics. On match day we all meet in the restaurant for breakfast and a final briefing before we set out, it was agreed the Buzzers were probably going to be the order of the day. The line that they were to be fished on varied from a floating line, midge tip to a Di5 (I tried them all) and watched my boat partner take three fish on a cat whisker, my head was starting to go, as I started working my way through my fly lines and flies. By 1pm I had not had a pull let alone a fish, so I gave myself a kick and started to use my brain, all the indications were that the fish are feeding deep, but the Di5 didn’t work and fishing Buzzers on a normal midge tip didn’t work so I opted for the long midge tip and fished it slow. Who said that length doesn’t matter!!!!!!! As we ventured out the conditions were very different from the Invicta club day the previous weekend with a cool westerly breeze replacing the flat calm but most headed off for the same areas of Yellowstone, Normanton, Sykes lane and Barnsdale with teams of buzzers. By 1pm Keith Gilchrist had taken his 8 and Dave Summers was on 7 but Mark Searle was waiting for his first action. However, something strange happened in the afternoon with Mark bagging up using a long midge v with three buzzers and a Fab on the point. Dave worked hard all afternoon but couldn’t get a pull and Kieran Bonus found fish outside the lodge on his Di7 but too late to bag up. Invicta A tops the Group with 11 points and extends its lead over HFA to 3 points, Fish Hawks had a rare off-day and lie in 3rd. The next round is at Pitsford on June 10th. Invicta achieved the perfect start by winning both their groups. The A team of Mark Searle, Graham Bodsworth, Keith Gilchrist and Chris McLeod practised with the B team and found fish – lots of them – in two areas. Plan A was to fish the Dam wall into Toft. This produced double figure catches for most of us, but we also found plenty in the unfancied Rainbow Corner. On the match day the wind had changed, and although most boats targeted Toft, very few rods bent. So the field gradually dispersed. But the odd fish was caught and a lot were lost. As cloud cover and breeze increased the fish became more active obviously feeding on the massive buzzer hatch. A move to Rainbow saw topping fish everywhere. That’s where our two limits came from as no other boats were in that area and the fish weren’t put down. They were plopping about so much it was difficult to decide which to target! So Invicta had 25 decent fish and good time bonus that helped us get ahead of Fishhawks 26 fish. A great day for the club and we look forward to another win on ………..
Invicta B team of David Moore (Cptn), Peter Brewer, Alan Briggs and Jeff Hickson all joined our A team to practice the day before the match. We paired off with different zones to cover in the morning but only found fish along the south wall of Toft. A lot of muddy water was being pumped into the western end and the fishery staff told us this had put the fish off, however when we met up with the A Team Graham and Keith reported a lot of fish here in Rainbow corner. The afternoon was hot, sunny and calm but we all took plenty of fish to buzzers on washing line and the bung so we were optimistic. On match day there was a breeze from the east but conditions were similar and nearly all the fleet headed for Toft but fishing was very slow with few fish showing and by 1pm boats had spread out. Our team only had 1 fish a piece but remembering the info from practice, Jeff, Peter and I managed to persuade our sceptical boat partners to head across to Rainbow corner where we found rising fish and put together decent bags in the last 2 hours using buzzers on the bung, washing line and straight- lining near the surface. All four of us held or won our boats against G1 partners, with Jeff overall top rod in the Group with 7, followed by Peter and me with 5 and Alan with 1, beating Soldier PalmersB by 2 fish and 33-15 to their 30-05. GWFFA B were 3rd with 9 fish and RNRMA 4th with 6 fish. Bristol FF failed to send a team which was disappointing. The rod average for the Group was 2.9 so we did well 4.5 which was the average for G1. Round 2 is at Chew on the 12th May where our team is David Moore (Cptn), Steve Harding, Jeff Hickson, Paul Heavens, Neil Potts and Jeff Price. What a final week we had and it turned out to be East v West that was the biggest influence on the evening. Those that headed for the eastern ‘dam end’ tower struggled to get a take whilst those that made their way the west tower were finding fish willing to chase. Ray Storer entered the match with a solid lead of 6 fish with only two anglers that could catch him, Mick Facey and Jamie Thomas. Ray was amongst those that headed for the dam end and failed to find fish but fortunately for him Mick and Jamie were also struggling and Ray maintained his lead to finish 2018 champion. 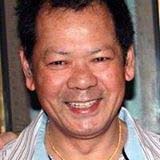 Some good performances in previous weeks ensured that Mick Facey finished the league in third spot. Meanwhile Keith Gilchrist and Paul Heavens had found fish near the west tower willing to chase roly-poly pulled blobs and boobies and Keith netted 7 using a Di 5 sweep to finish top rod on the evening and move himself up into the league runner-up position. David Moore landed 5 fish for second spot on the evening and Paul Heavens netted 4 for third. Several anglers made the move from east to west but by 8pm the fish had gone off, possibly due to boat pressure. The most unfortunate incident of the evening was Trevor Barton falling backwards off his boat seat near the boils. It could have been much worse had it not been for his boat partner Peter Brewer getting him back into the boat and taking him back to the lodge. Sadly Trevor lost his rod and reel in the incident. Winning the free boat ticket will be small consolation. We finished with the presentation plus sandwiches and chips in the Wheatsheaf. Keith Gilchrist captured in the sunset. Photo by courtesy of Alan Briggs. 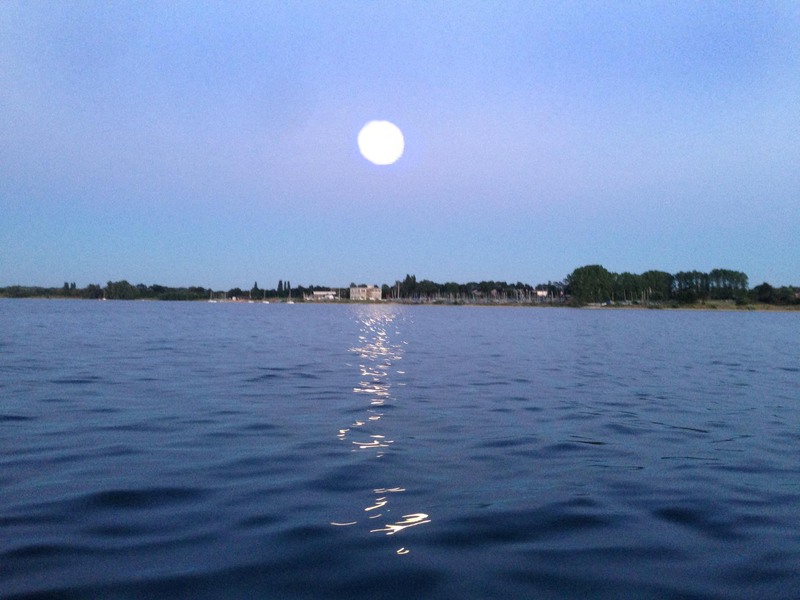 Another stunning evening, but the very high water temperatures prevail and the fishing was once again tough. 7 anglers turned up, including junior Alastair Toms, who has recently done a course with Peter Hartley. The boils were favourite, but although the odd fish was showing, they showed very little interest. The only fish caught was by Keith Gilchrist, roly-polying with a di3. Steve Harding landed a small zander which was the other highlight of the evening, apart from the sandwiches and chips in the Wheatsheaf. 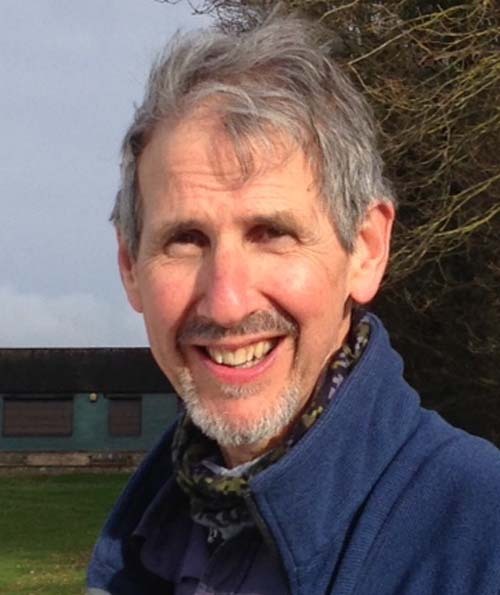 Please try to come along for the final evening next week; can Ray Storer be beaten to the trophy? 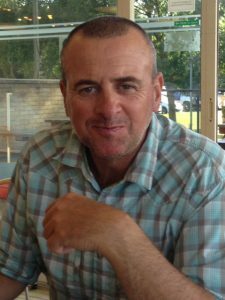 He is catchable by both Mick Facey and Jamie Thomas. It is getting cooler so anything could happen. Ray Storer, still the man to catch. A slight improvement in the fishing since last week, but still far from good. 19 anglers turned up and reports that the best results had been coming from the dam area saw most boats heading In that direction. Fishing had been reasonable during the early morning with anglers reporting plenty of fish being caught but all agreed that it died after around 11am and as it became clear was not about to come on again. 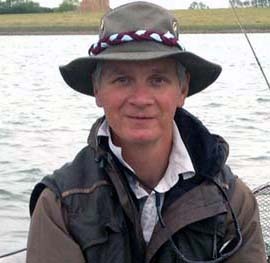 Keith Gilchrist was top rod and managed to connect with 3 fish using deep tactics pulling. 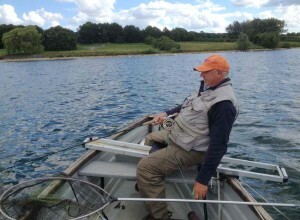 As if to prove that there was no single working method, David Moore took second spot with two fish using a midge tip and nymphs fished static. Several anglers tried the ‘boils’ but as was the case last week, the fish were not having it although David caught his two not far from that area. The rest of the anglers struggled with the odd fish being taken on an evening with 12 blanks. 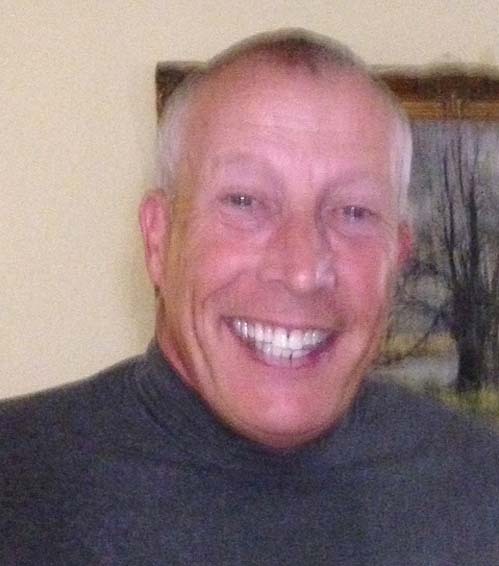 Ray Storer remains at the top of the table despite not finding fish this week. However with two weeks still to go and 4 anglers within a dozen points of him there is still time to catch him especially if the fishing comes on. We finished as usual with sandwiches and chips in the Wheatsheaf. Not catching fish wasn’t a disappointment at the latest Tuesday evening. With water at 24 deg C even on the boils fishing took second place to relaxation for seven members who were dedicated enough to go out. Amongst those fishing for the second week on the run was new member Andy Trafankowski, he really has not chosen the best period to start fishing with us on Tuesday evenings. A month ago we were getting plenty of fish, I hope he is not put off, it will get better Andy! A few fish were rising in open water and last light near the tower but nothing taken. Highlight again was the Wheatsheaf and the special offer in the tackle shop. Two weeks to go, will the heat wave end in time? Another beautiful evening captured by Jamie Thomas. Another beautiful evening and the fishing was once again tough. However it is the same everywhere at the moment and in the Rutland evening league this week they copied our last weeks 100% blanks! 12 optimistic souls signed on including new member Andy Trafankowski. Lovely fishing conditions with a few fish showing but very little action. 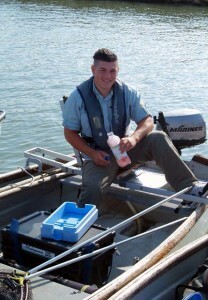 The only 2 fish caught came to one boat, Jamie Thomas and Roger Swain with 1 each; they travelled the reservoir. The evening finished as usual with shed loads of sandwiches and piles of chips in the Wheatsheaf. Boat Ticket was won by Alan Prevost. The 9th evening will go down in the record books for the wrong reason. We believe that this is the first time that a competition at Grafham has returned a 100% ‘Blank’. Twenty-one anglers came in and not a single fish. David Moore recorded the water temperature at 21deg, very warm to the touch. As one of the anglers commented, “Even the anchor was warm when we pulled it in”. The Wheatsheaf sandwiches and chips was definitely the highlight of the evening. Ray Storer won the free boat ticket.. The 8th evening started a little breezy but by 7pm had settled into another balmy summer’s evening especially on the sheltered north shore and we were allowed to fish until 10pm and enjoy a lively evening rise. Numbers were down to 14 through competing football and practice for the following day’s AMFC. Most of the fleet headed north or towards the Willows. Chris McLeod, Mick Facey and Graham Bodsworth had been out in the afternoon and found fish close in between G Buoy and Marlow Jetty where they returned and were quickly into fish again; Mick’s 7 fish moves him up the league into second spot behind Ray Storer who still leads despite not fishing this week. David Moore fishing with Graham opted for a 6ft tip and hares ears to take 8 quick fish mostly on the hang at first drifting and then at anchor before switching his phone with speaker to broadcast the football at 7pm. Graham started taking fish with a 3ft tip nearer the surface and Chris was taking fish steadily in a boat near the Jetty. A lot of fish were lost, a common experience at Grafham lately and exasperated by double hook-ups. Nearly everyone was using floating lines or midge tips with hares ears, red diawl bachs and small boobies but it was location and presentation that made the difference. Chris finished with 14, David 10, Graham 8 and Mick Facey 7. Everyone headed off to the Wheatsheaf where Allan Murren won the raffled AW boat permit. On what was the hottest day of the year so far, expectations were not high. The rangers informed us that although fish had been caught during the morning little or nothing had been taken since around 1pm. Several anglers started deep and two boats tried the ‘boils’ and although the ‘boils’ produced a couple of decent fish, they were not really on. Gaynes, which has been reasonably productive over the past few weeks was equally non productive and it was the North bank from Rectory Bay to the Willows which proved to be the zone. 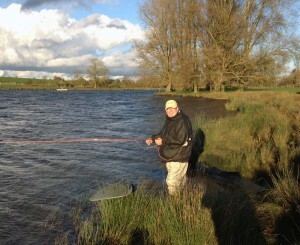 During the evening the fish came up and as usual it was anglers that that found the correct depth that took the spoils. By late evening dries once again came into play with Peter Waterhouse battling (and loosing) a double hook-up. However it was Jamie Thomas once again who led the way, bagging up for the third time in four matches. His three week lay off from the evening league clearly has not affected his winning streak. Paul Stevens, 7 for second spot. Paul Stevens was not far behind Jamie taking 7 fish for a creditable second spot followed by Ray Storer and Peter Brewer both on 5. Ray’s 5 fish were enough to ensure that he remains the man to catch at the top of the table. Successful tactics for the top anglers were similar with Intermediate lines, Hare’s Ears and Red Diawl Bachs taking the fish. For the second time this series there were no blanks. 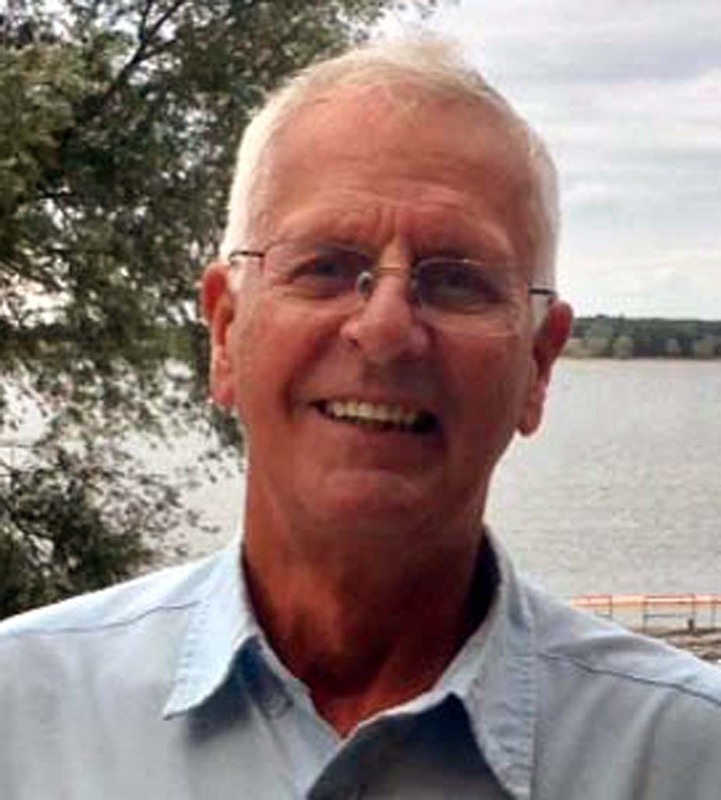 The free boat ticket was won by Peter Waterhouse. An evening where the dry fly was significant. Initially boats headed for several different areas although the majority divided between Gaynes and Valley Creek. By mid evening most had deserted Valley Creek as it was not productive and word had got around that Gaynes was full of fish rising. In Gaynes anglers were enjoying a feast of fish on dries. 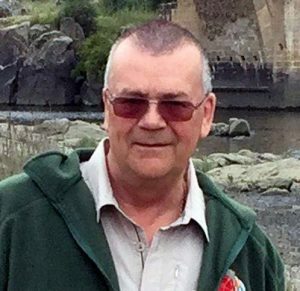 However the experience of Chris McLeod shone through as he took full advantage of fishing a floater – washing line style with hare’s ears to finish top rod with 13 fish. Chris said it was a matter of cast, pop, pop then static, then slow draws to bring the flies up with a long pause between draws. Gary How and Mark Searle caught 8 each which promotes Gary to second spot in the league table; however Ray Storer continued his excellent form with 8 fish which keeps him firmly at the top with a 5 fish lead over Gary. Mick Facey fished with England Youth squad member William Crawford and both took 5 fish. Mick is now in third spot. The free boat ticket was won by Sue Potts (who to her embarrassment drew her own ticket). Week 5 saw our biggest turnout so far this season with thirty anglers taking part. The numbers were boosted by several anglers who were taking the opportunity to practice for the Airflo International later this week. Reports that the North Bank from Pig bay to G buoy were still producing catches saw nearly all boats heading across the reservoir. 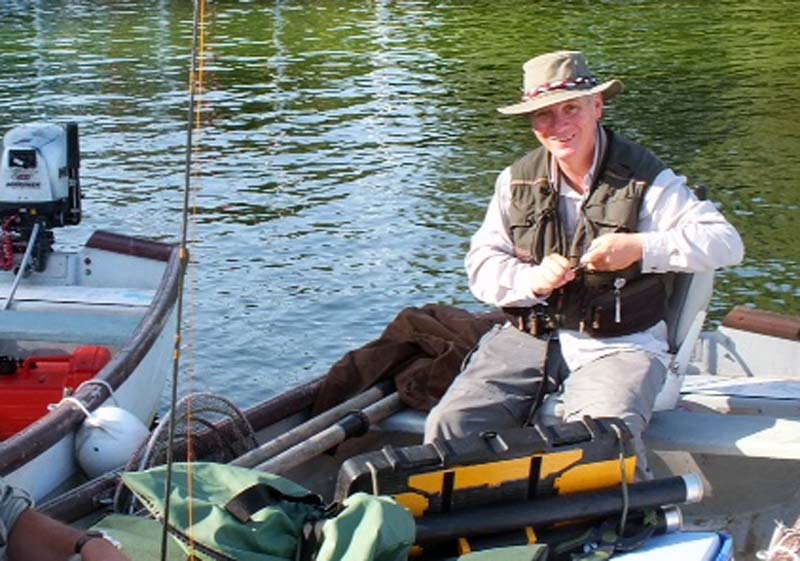 Keith Gilchrist fished in rectory bay and was soon into some decent fish straight lining nymphs on a floater with hare’s ears and diawl bachs, he was top rod taking 15 fish on an evening where several anglers hit double figures. Just one fish behind Keith was Nigel Angus with 14 and Peter Waterhouse and Richard Slater with 13 each; what an evening, a total of 177 fish were caught! Ray Storer continued his consistent form with 11 fish on the evening, this moves him to the top of the leaded board just 3 fish ahead of joint second placed Jamie Thomas and Keith Jones. Two new anglers to fly fishing also made noteworthy starts, Jake Fell caught 2 and Allan Harvey caught 4, a brilliant performance. The free boat ticket was won by Jake Fell. Ray Storer, Top Rod this week. Grafham had had some heavy competition boat traffic during the day with every boat out when we arrived. Fortunately they came in at 5:30pm and the rangers turned them around quickly for us. Reports were of fish being caught on the North Bank from Hill Farm to Deep water point, mostly taken by pulling. Most boats headed for that area with Pig Bay and Hedge end being favourite spots. 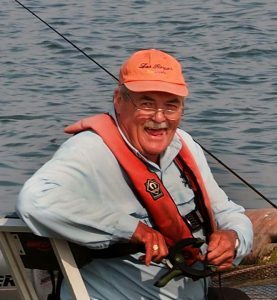 Several boats anchored but Ray Storer drifted out from the Hedge end area and kept repeating the drift but moving along each time so that he never covered the same spot. The tactic paid off with Ray taking 9 fish on nymphs and a booby fished ‘washing line’. Second spot went to Malcolm Reece with 5 fish followed by 4 each for Gary How and Keith Gilchrist. Although the rod average was well down on last weeks exceptional performance, it was notable that with 22 fishing and the fish widely spread, we only had one blank. 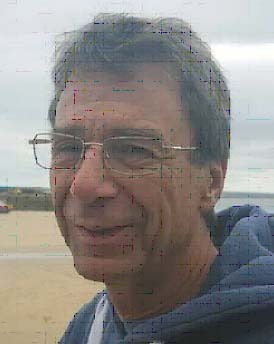 The free boat ticket was won by Paul Heavens. Grafham was on fire with the top 4 anglers catching 50 fish between them. However the fish still had to be found and if you were not on them it was not that easy. Jamie Thomas continued his run of successes by taking 16 fish and finishing top rod for the third successive week, no fluke; Jamie puts the practice hours in and was on the water at 4am one morning! Graham Bodsworth continues to keep the pressure on Jamie and took 13 fish to cement his position in second place in the league. Paul Heavens and Gary How were joint third with 10 each. The North bank G buoy area from Cove bay to Marlow stones proved very productive with several boats anchoring up between 75 and 125 yards off shore. Jamie also found a large pod of fish in Church bay and took full advantage. Blobs, boobies and cormorants pulled through the top couple of feet resulted in lots of takes and a lot of pulls. A total of 125 fish were caught. It was also very encouraging to see William Crawford and Ollie Brand fishing. William is already part of the England Youth squad and Ollie at only 13 years old is already showing great promise. The free boat ticket was won by Lee Marshall. Please Note: It would be most helpful to the organiser if anglers could sign in as soon as they arrive at the lodge. It enables us to organise the draw so that there are few delays. A windy day at Grafham, Northerly, gusting 30 knots, so no single boats allowed out. 13 fished so Paul Stevens very selflessly fished off the bank. Blobs and Lures seemed to do better than nymphs and fishing was all close to the north shore, best area about 100-150 yards out. Jamie Thomas and Ollie Brand fished together with league leader Jamie catching 8 and Ollie catching 4. Ollie only had a beginner’s lesson with Peter Hartley a few weeks ago and fished very well. He comfortably had 4 and lost several more in play. Jamie caught all his fish on a di5 sweep with a booby on the point and a blob on top dropper. Ollie fished a floater with a Cats Whisker on the point and a blob on the dropper, all of his fish came to the Cat. The area they caught most of their fish was drifting off Marlow Jetty out as far as 150m, they found a lot of fish in that area. Takes were very tentative and Jamie easily had another 20 fish lost in play!! Boats came in at 9.15pm by which time most people were feeling chilly. Stellar sandwiches and chips and a nice lump of apple cake before we went out, kindly made by Stewart Stenning- White in the shop. Peter Brewer won the Boat Ticket. Total caught 32, Rod average 2.46. Conditions were quite good although a little too sunny with a moderate wind which died down during the evening. Reports during the day had been of difficult fishing with very few being caught and expectations were low. The turn out was very good with 26 anglers taking part including a young man ‘Ollie’ 13 years old who had been on Peter Hartley’s course. Boats headed off in all directions from Gaynes to Savages in the hope of finding a few but it was Jamie Thomas who found the method initially by drifting in the middle in off G Buoy area and working blobs and boobies. He finished his evening near the lodge for a total of 7 fish – a great performance. Graham Bodsworth and Mick Facey took the buzzer approach and finished with Mick taking 6 and Graham 5. Mick was fishing the washing line in Gaynes and Graham on the bung near the lodge. Unknown to most who had headed off to the usual hotspots, the area just to the left of the lodge started producing fish and those that had returned to that area early took full advantage. 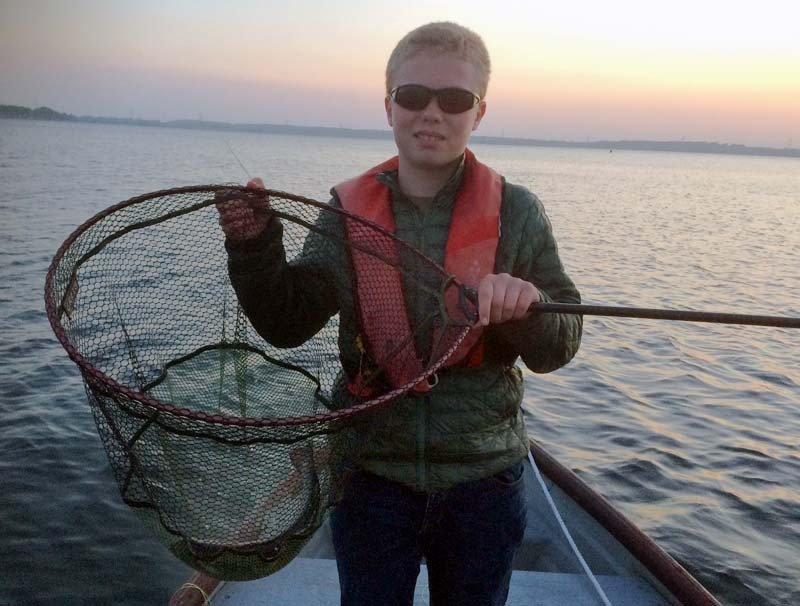 A total of 50 fish were caught with a rod average of 1.92. The evening finished with sandwiches and chips and some very enjoyable banter. The draw for the free boat was won by Chris Hulbert. 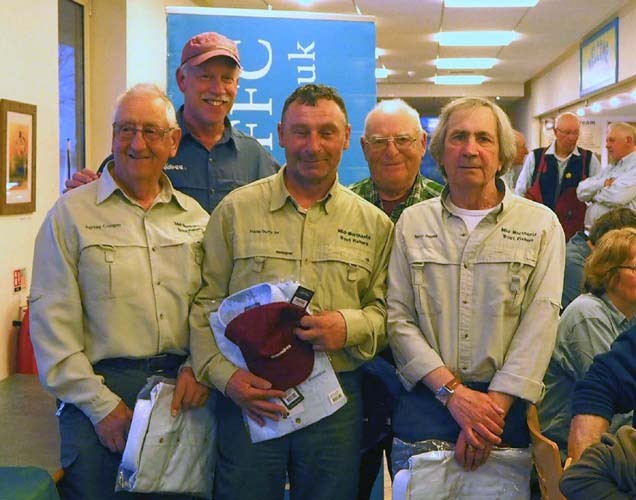 The annual Snowbee® Interclub Floating Line Match was held at Grafham on 14th April. A record entry of 19 teams had to fish well to be in the prizes on an unseasonably sunny, almost flat calm day. After some initial problems with the scores due to a computer malfunction, congratulations go to the winners ‘The Reelmen’ (Ashley Cooper, Terry Bayes, Pip Jeffs and Frazer Duffy). Runners up were Invicta Blue (Mark Searle, Mark Haycock, Dave Summers and Martin Rowson) who also won the trophy for the Top Local Team. Third place went to Tunbridge Wells (Keith Nicholson, Vinve Brooks, Keith Lawrence and Simon Newman). Graham Bodsworth caught the heaviest bag, and Alex Urquhart caught the heaviest fish. Our thanks go to Simon Kidd & Snowbee, Angela Tarry and her Grafham team, plus all volunteers within Invicta Fly Fishing Club who contributed. After a very cold and snowy February and March, the weather took a turn for the better and produced excellent conditions for this start to the Invicta calendar. 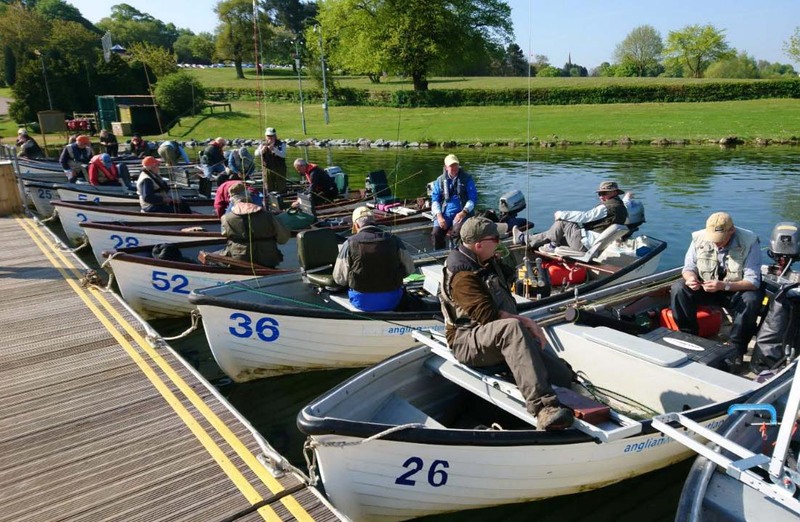 Sixteen hardy souls turned up for what turned out to be a very pleasant day, in complete contrast to conditions the week before, when a national competition had been held at the fishery. But even then, in Arctic conditions, there had been a rod average of over 5, so expectations were high. Ed Foster, the owner of Elinor, stocks regularly and those fish hadn’t moved very far from certain well-known areas. The water was still cold and the fish weren’t really feeding. They tended to be sulking deep and not keen on chasing anything and to the method was slow to static. Nymphs were working, even in the slightly coloured water, just letting them drift round in the breeze, or a very slow retrieve running the flies just over the weeds. Swans stirring up the bottom certainly held fish in certain areas as well. A break for lunch proved that fortunes were variable. No blanks but some slow mornings, although there were also a couple of sixes and even one member with ten. As the winds were light fishing was possible right around the lake and, indeed, fish were caught from all banks. At the end of the day John Brown won with a convincing 13 fish, all caught on nymphs – buzzer and diawl bach – and he just pipped Chris McLeod who had a dozen. Notable was Alan Prevost’s performance doing a Tom Daley inspired, head first dive into the lake. He seems to like Elinor as he regularly takes a dip there. A cracking start to the season with a number of newer members beginning to make their mark and catching a few. A rod average of 5.3 was a little disappointing but the quality of the fish was excellent. All were returned to the water, including the six pound plus rainbow that Graham Bodsworth took to win the big fish sweep. 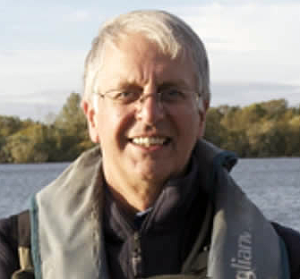 We all now look forward to our first boat outing on Pitsford on 3 April. Hope to see you there. The reputation of Invicta FFC has been rising steadily in recent years and with both teams heading their groups in the AMFC league it was time for the club to start re-entering the Anglian Water International, currently sponsored by Airflo and the most prestigious loch-style team competition .I persuaded six members got together to enter a team into the heat at Grafham Water under the Invicta banner on the 16th June. Invicta was the only un-sponsored team of the sixin this heat and the big majority of anglers had fished internationals for England or Scotland so it was a tough challenge. Most of us had been fishing Grafham for the past 4 days including the Tuesday club, AMFC and Pro-Am competitions so had a clear plan of fishing FABs, Hares Ears and Diawl Bachs slowly near the top in either Gaynes or North Shore. The match was international loch-style rules but weigh 4 and release 8 with a time bonus. Most of us were pleased with our draw although Peter Hartley’s partner sadly insisted on taking the engine (in spite of knowing Peter was left handed) so they both suffered horribly in the blustery wind. I got off to a flying start with 7 fish in the first two hours, all on a slow intermediate and nymphs and although losing a few reached my 12 limit by 2.45pm and leaving my much more talented boat partner somewhat perplexed on just two fish. I was mostly fishing my flies (black headed GRHE’s, red diawl bachs and a yellow/red FAB) a bit slower, deeper and closer to the boat and then taking fish on the hang. Mark Searle also had a very good day on the nymphs, his 12th fish remained elusive but he took 8th individual place. Chris McLeod boated 8, Gary How 7, Peter Hartley 5 and Tony Smith (not fully recovered from illness) 4 so we bagged a creditable total of 47 fish for the six of us. Gary, Chris and I all held our boats against Internationals. At the call we were only 16lbs or 8 fish short of Draycote Rio Masters and qualifying for the Regional Final and only slightly below the rod average of 8.4. Fifth out of six teams was a creditable attempt for one of the few club teams among the 70 in the competition and enhanced the Invicta brand. I hope we can enter again next year. Good luck to Invicta members Mark Mathieson and Dave Summers, both fishing for Musketeers and Mark Haycock, Draycote Rio Masters, who qualified for the Regional Final with 2nd and 3rd places. On a personal note, I rate 4th rod in this field as my PB in competition performance so a big thank you to all you talented Invicta members who have helped me over the past ten years, proving there is hope for all.